HFD Spa (Health Fitness Dynamics, Inc.) is an established, experienced and innovative full-service spa advisory company created and owned by Judy Singer and Patty Monteson. The Pompano Beach, Florida corporation was formed in 1977 and, since 1983, HFD Spa has completed over USD$700 million of marketable and profitable spa ventures for fine hotels and resorts, day spas, health clubs, country clubs and mixed-use developments throughout the world. In the 1980s, Singer and Monteson were employees on the management team of a world-famous spa resort. They were hired to turn around a 13 year old spa that was part of a successful real estate and lodging venture. Although the spa had been losing millions of dollars every year, it was an excellent marketing tool for the "core" business of real estate sales and lodging. Singer and Monteson created a business model that, within one year, turned the spa into highly profitable business. In the process of doing so, they saw an opportunity to do this for other spas and resorts. They realized they could pioneer a new industry...spa consulting....and could provide spa-related consulting and management advisory services to developers, investors, owners and operators of lodging and real-estate ventures as well as free-standing, up-scale non-lodging spas. They found their passion and, since 1983, they continue to be excited about the challenges and opportunities to create marketable and profitable spa ventures that are stand-alone businesses and that also complement and enhance a company's "core" business of selling lodging and real estate. Defining the different types of spa experiences and creating various spa concepts: resort spa, hybrid spa, lifestyle spa. Creating innovative design and facility planning concepts that maximize the flexibility and utilization of the spa: co-ed treatment areas, multi-purpose treatment rooms, spa suites, spa "playgrounds." Funding and conducting a variety of international landmark research studies on spa goers and non-spa goers, trends, benchmarks and economics, operational efficiency. Assisting in the development of the industry¡¯s first uniform system of financial accounting and reporting. Creating the first university-based spa development and management course in the United States and the first Spa Show for the health club and hospitality industries. Speaking at almost every major national and international hotel and spa conference. Creating and conducting international spa seminars on spa development, marketing and operations including a year-long program to develop the Mexican spa industry. Publishing spa articles in almost every international hotel and spa magazine and being a resource to those writing about spas. Helping to write the spa rating program for Leading Hotels of the World¡¯s Leading Spas of the World. Creating an extensive and affordable self-service "tool box" of turn-key strategies and programs from feasibility analysis to design/development; from marketing to opening spas; and from day-to-day operations to strategic planning. HFD Spa has a set of "core" values that make us uniquely qualified and set us apart from other companies. Hands-On:.Judy Singer and Patty Monteson are the founders, owners and the consultants - we are directly involved in every project and every aspect of each project. Full-Service: We see the big picture and do everything in order to provide a turn-key service that assures continuity, integration and quality control from concept to day-to-day operation. Visionary: We stay on-trend, not trendy. Our work has a sense of timeliness. Integrity: We treat every project as though it is ours so we give our clients honest, reliable, cost-effective and results-oriented advice so that they have successful, profitable and marketable spa ventures that complement and enhance their ¡°core¡± business of selling rooms and/or real estate. Experience & Expertise: We are not a new company that is adding spa consulting onto other industry consulting services. We are not an equipment or product vendor offering free technical services. We are not a management company looking for a day-to-day contract. We do not take referral fees. The only thing we provide since 1983 is objective, sensible and ethical advice. Reputation: All of our business comes from referrals so we always strive to do the right thing for our clients. We strive to deliver the promise and exceed their expectations in terms of our commitment to their project, the quality of our work and our involvement as a integral team-member. We do "whatever whenever" in order to help assure our clients' success. HFD Spa's role in a project is customized to what our clients need...we provide a Special Personalized Approach. We do whatever is needed to assure our clients' success. Each project is systematically and creatively analyzed in terms of its immediate and long-term needs and budgetary requirements. With our emphasis on continued support, clients call upon us on an on-going basis. We believe in the team approach and encourage communication, challenge, collaboration and camaraderie. Our goal is to give our clients the best possible chance to be successful. As an integral member of the development, marketing and management team, HFD Spa offers accurate, valuable and timely advice. We look for and create opportunities to position the spa as a marketable and profitable asset. HFD Spa is a small company by choice. This enables us to have maximum contact and flexibility with our clients... and, more importantly, a fresh, personalized approach for each project. Our clients benefit from our seasoned business know-how, coupled with the creativity and intuition that come from years of experience. We offer unconditional quality and take pride in being thorough, objective and insightful. Our integrity is important to us. We are not satisfied to say, "it's always been done that way," but rather we are always looking for new ways to define and improve the spa experience. We choose to work with clients who want to offer their guests the ultimate experience and who appreciate our uncompromising attention to detail and service. A significant investment in time, money and reputation goes into the planning, marketing and operation of a spa, and we take our contribution seriously. Because of this, we have long-standing relationships with our clients. When HFD Spa works on a project, both Singer and Monteson are personally involved in every aspect. This hands-on approach and attention to detail is one reason why HFD Spa is considered to be the respected leader and complete resource company for every facet of spa development, design, marketing and management advisory services. Spas and resorts have benefited from HFD Spa¡¯s seasoned business know-how, coupled with the creativity and intuition that come from years of experience. People hire HFD Spa because they want to have a marketable and profitable spa that is a business venture in and of itself as well as a marketing tool and asset to their core business which is to sell rooms and/or lifestyle real estate. 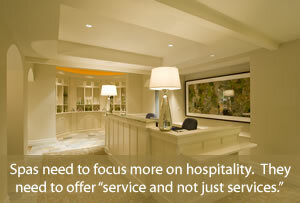 HFD Spa helps its clients to be the benchmarks and leaders in the spa and hospitality industry. Because of the quality of work, HFD Spa has established a reputation that is recognized and respected. HFD Spa has intentionally remained a small, hands-on company with Singer and Monteson involved in each aspect of every project. HFD Spa / Health Fitness Dynamics, Inc.
Judy Singer is the co-owner of HFD Spa (Health Fitness Dynamics, Inc.). She received her Bachelor of Education degree from the University of Massachusetts in Amherst, Massachusetts and her Masters and Doctorate degrees in Education from Boston University in Boston, Massachusetts. In 1977, Dr. Singer founded HFD in Boston to plan and oversee fitness and wellness programs for corporate, commercial, club, public service and health care facilities. From 1981-1983, she was the Ladies' Spa Director of the Palm-Aire Spa Resort in Pompano Beach, Florida. 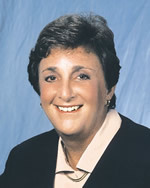 In 1983, Judy left Palm-Aire and incorporated HFD Spa as a Florida-based company whose area of emphasis became, and continues to be, spa design, development, programming, marketing and management advisory services. Since then, HFD Spa has been the spa consulting company to over USD$700 million worth of completed spa development and has a prestigious client list. In addition to her consulting and management advisory services, Judy is an author and speaker. She has written for Lodging, Hotel & Resort Management, Urban Land Institute, The Cornell Quarterly, Hotel & Resort Industry and Lodging Hospitality. She has also been interviewed for CNN News, featured in the Miami Herald and quoted for articles in USA TODAY, American Health, Conde Nast Traveler, Men's Health, The Wall Street Journal and The New York Times. Judy also co-authored a chapter on spa management and development for a hospitality textbook. In 1996, she was featured in the book, Joining the Entrepreneurial Elite and the corresponding PBS television special. That year she was also among 11 women entrepreneurs in the hospitality industry who were featured in a cover story for the American Hotel & Motel Association's trade magazine, Lodging. In 2004, Judy was on the ISPA/EI committee that published the 2004 Uniform System of Financial Reporting for Spas. In 2004, Judy was invited to be on the Spa Advisory Council for Leading Hotels of the World and to assist in writing the spa standards for what is now Leading Spas of the World. As a speaker, she has also created and presented seminars and programs on spa development and management for the College of Hotel Administration at The University of Las Vegas Nevada, Resort Committee of the American Hotel & Motel Association, International Hotel/Motel & Restaurant Show, Florida Hotel & Motel Association Conference, Hotel Industry Investment Conference, The International Spa & Fitness Association, The U.S./Latin American Resort Development Show, the Ministry of Tourism-Mexico and several national Club Industry Shows. 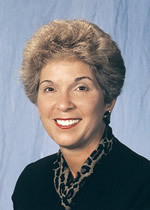 She also implemented and chaired the annual Spa Show at McCormick Place in Chicago. Judy is a member and past Chairperson of the International Society of Hospitality Consultants (ISHC.com). Ms. Monteson is the author of various articles on health spas. She has published in trade magazines such as The Cornell Quarterly, Lodging, Urban Land Institute, Lodging Hospitality, Hotel & Resort Industry, Hotel & Motel Management, AAA Hostmark and Florida Hotel and Motel News. She co-authored a chapter on spa management and development for a hospitality textbook. Patty has also been featured on CNN NEWS and quoted in articles for USA Today, John Naisbitt's Trend Letter, Vogue, Crain's New York Business, The Los Angeles Times and The Chicago Tribune. In 1996, she was among 11 women entrepreneurs in the hospitality industry who were featured in a cover story for the American Hotel & Motel Association's trade magazine, Lodging. That year she was also featured in the book, Joining the Entrepreneurial Elite and the corresponding PBS television special. She is also in demand on the lecture circuit and has presented seminars on spa development and management to The International Hotel/Motel & Restaurant Show, The Resort Forum, The Florida Hotel & Motel Association Conference, the Ministry of Tourism-Mexico, Club Industry Shows, The Hotel Industry Investment Conference, The Lodging Management Academy, The North American Resort & Recreational Real Estate Show, The U.S./Latin American Resort Development Show, The International Spa & Fitness Association, and the annual Spa Show, which she helped to develop and was chaired by HFD Spa. Ms. Monteson also planned and conducted a course in Spa Planning and Management for students at the College of Hotel Administration at the University of Las Vegas Nevada. Prior to forming HFD Spa, Ms. Monteson was the Fitness Supervisor of the Palm-Aire Spa Resort in Pompano Beach, Florida, where she developed fitness programs for guests of all ages and physical conditions. She received both her Bachelor and Master of Science degrees from Slippery Rock University in Pennsylvania and, in 1991, was given the honor of being named Alumna of the Year. Ms. Monteson is a member and past Chairperson of the International Society of Hospitality Consultants (ISHC.com) and she also serves on the President's Advisory Council for Slippery Rock University.